Harrison Barnes scored 20 points and notorious #WizardsKiller Wesley Matthews added 14 points as the Mavericks defeated the Wizards for the 17th time in their last 19 tries, 98-75 on Monday night. Bradley Beal led the Wizards in scoring with 18 points and John Wall added 11 but they didn’t get much help from anyone else, as they were the only two Washington players to crack double figures in scoring tonight. Things were even through the first quarter, but the Mavs put the pedal to the metal in the second quarter outscoring the Wizards 31-15. Washington only scored 37 points in the first half. The second half was only slightly better. They scored 38 points in the second half as they cobbled together their second-worst offensive output of the season. John Wall was a game-time decision as he was dealing with migraine headaches throughout the day. However, the way Wall started the game, you’d have no idea. Wall’s jumper was smooth and in rhythm early on as he connected on three of his first four jump shots and was attacking the hole and getting to the free throw line. 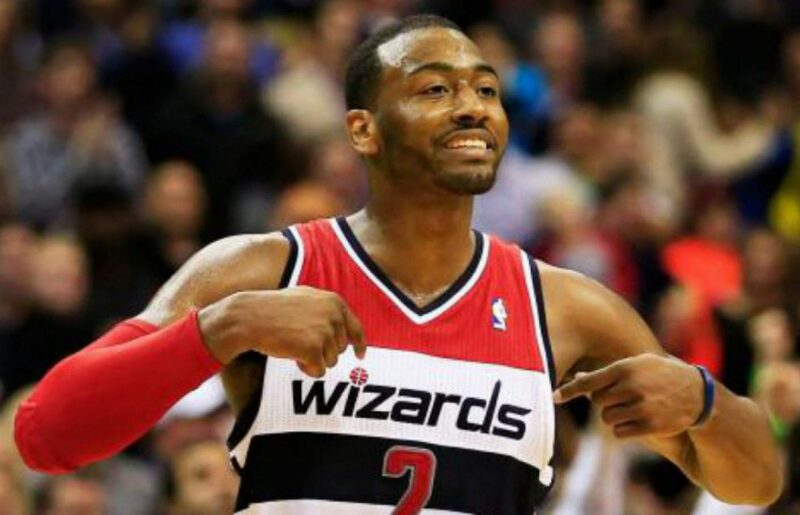 Wall had seven points and three assists through the first quarter and it looked like the migraine wouldn’t faze him. However, Washington’s poor shooting was contagious and spread to Wall as after that 3-of-4 start, he only made one of his final 12 shots, missed all four three-point attempts and finished the night with just 11 points. The Wizards’ shooting was bad, really bad. It’s not like Dallas was playing stellar defense either. Washington just couldn’t make it from anywhere. They shot 31 percent from the field, 22 percent from beyond the arc and only 59 percent at the line. Bradley Beal was a respectable 3-for-8 from three-point range tonight. Unfortunately, for the Wizards, the rest of the team combined to go just 4-for-24. Washington got many open looks from distance in transition, on second-chance opportunities and had open looks in their half court offense. They just couldn’t knock any of them down as only four Wizards players (Beal, Morris, Oubre, Meeks) connected on long-distance shots all night. Otto Porter left the game in the third quarter with a hip issue. Kelly Oubre came back to earth after his career-best night in Detroit. He was 2-for-11 from the field and only made one of his five three-point attempts. Mike Scott was held scoreless for the first time since December 4. You may remember that as the game where the Wizards lost to the Jazz by 47. The Mavs played Yogi Ferrell and J.J. Barea at the same time for an extended stretch. Not sure if it was the shortest backcourt in NBA history, but it sure felt like it. It could be worse. At least the Wizards aren’t questioning whether or not someone faked an illness. Next up: The Wizards are back in action on Thursday night as they take on the Thunder at 8 p.m. ET.